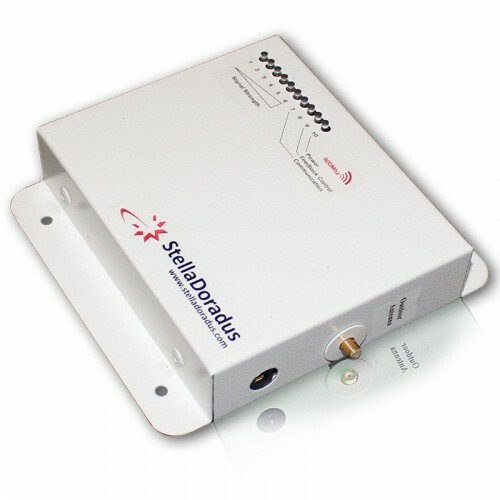 You can use SD-RP1002-D signal repeater kit to boost your 4G/LTE signal at home. It can also be used in small offices, halls and function rooms. You need at least 1 signal bar outside your home/office in order for this device to function properly. This device will take the weak signal from outside, then takes it in, and pass it through the booster device, then re-transmits the boosted and filtered signal to your target area. More than one device/cellphone can be boosted in the target area. So you can enjoy stellar signal quality with your friends and family. Get one today and we'll ship it the following day. The SD-RP1002-D is ideal for providing strong 4G/LTE signal coverage in your home or small office. As long as there is signal outside your house/office, this device can amplify the signal and re-transmit the signal throughout your house or any target area. It can cover around 4 rooms. For the repeater to work you must have at least 1 bar signal bar outside your house on your phone. 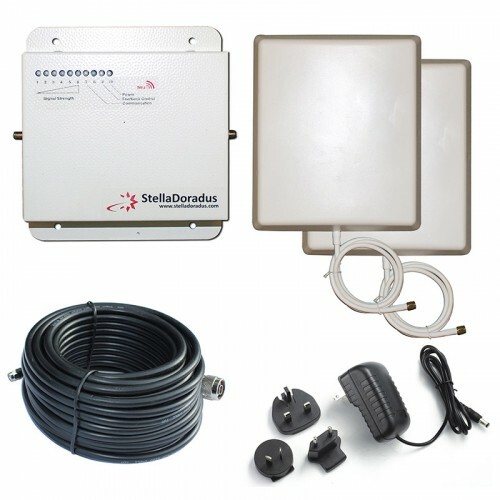 The SD-RP1002-D comes as kit, it includes; the booster device, 1 outdoor antenna to receive the weak signal from your chosen network, 1 internal antenna to re-transmit the boosted signal to your designated area (could be a single storey house, single room, basement or attic), cables for connecting the antennas and power supply for the very obvious reason. The outdoor antenna receives the weak signal and takes it in through a coaxial cable to the booster device. The booster device will do its thing, filters the boosted signal and put it some interference control magic. By the way, SD-RP1002-D in technical terms, should be called a 4G/LTE mobile phone signal repeater, instead of a booster. The clean signal now is re-transmitted via the indoor antenna, to the target area. The signal can reach an area of up to 4-rooms. Note: The indoor antenna could be an omni-directional antenna or directional panel antenna. You can contact us for a perfection solution and we'll decide on the best parts and devices to use. For instance, you have a Vodafone Ireland SIM Card, and you receive crappy signal from their network. Not their fault, but maybe you're too far from their mast and barely receiving 1-bar. So the first thing you need to do is to make a test. Know what frequency you're phone is on. If it's using 1800MHz, then great! You can now use the SD-RP1002-D as a Vodafone 4G/LTE mobile phone signal booster. 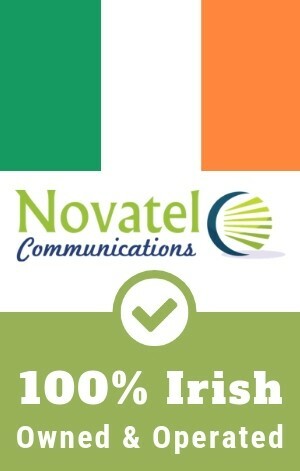 Vodafone Ireland like other networks in Ireland, either transmits LTE signal under 800MHz (Band 20) or 1800MHz (Band 3) frequency band and some network transmits using 2600MHz. So before buying this model, make sure to have a signal test in your area and make sure you are receiving LTE at 1800MHz. Let me tell that again - SD-RP1002-D only works in 1800Mhz. You can learn more on this by reading the following pages. To install the SD-RP1002-D booster kit, follow the simple steps below. Note: The unit used in the video demo is not the actual SD-RP1002-D model. Install the outdoor antenna in a place where you know you have reasonable signal, like your roof or mast. Run the cable down to the booster device and connect it. A 12 meter cable length should be the maximum for optimal performance. Plug in the power to the booster device. There are smartphone apps available that you can use to exactly point your receiver antenna to the nearest network operator's mast. We recommend the OpenSignal app for both iPhone and Android. NOTE: The external receiver antenna has an LED light signal strength indicator. Please refer to the YouTube below on how to use. You can call us to order using this number +353 22 23440 or use the "Add to Cart" button on this page and go through the secured checkout process. The StellaBoost-L4 booster SD-LCD-LGDW Boosts GSM, 3G and 4G In your Home or Small Office The SD-LCD-LGDW is one amazing device from StellaDoradus, that you can use legally in Ireland to boost your weak GSM, 3G and 4G signal all at the same time. It is perfect for small offices, apartments, basement.. The StellaBoost-L4 booster SD-LCD-LGDW Boosts GSM, 3G and 4G In your Home or Small Office Sold as repeater only with power supply. Indoor/Outdoor Antenna and Cables sold seperately. For the Booster Kit, click here. The SD-LCD-LGDW is one amazing device from StellaDoradus, that you can use legally ..